In true White Company Style, the event was held at beautiful house in Fitzroy Square this was four floors of impeccably chic, effortlessly stylish and well-designed furniture, bedding, clothing and accessories. All dressed up in festive spirit for the most wonderful time of the year (not that I want the sun to go anywhere!!) 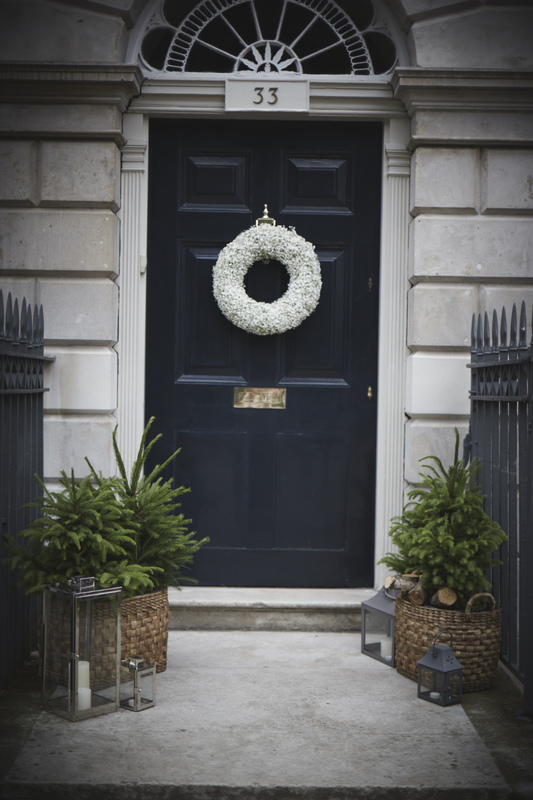 The gorgeous flowers, including the beautiful door wreath were done by Zita Elze. 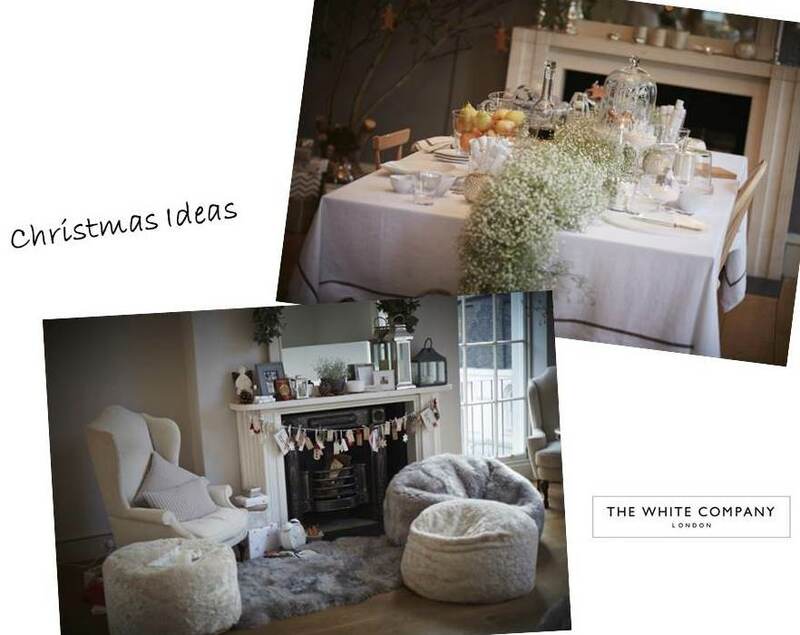 I have always loved The White Company, whether it’s in Summer or Winter I am always eagerly waiting for the new season catalogue for inspiration in decorating my home. 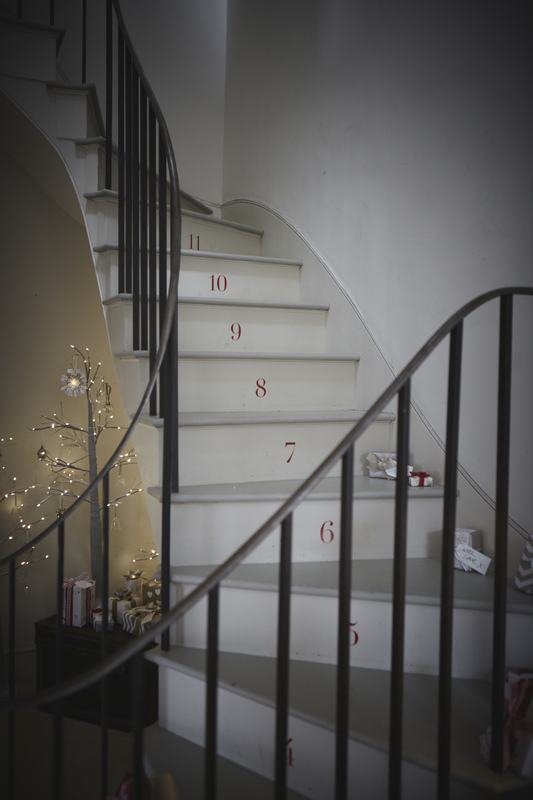 This event was literally like stepping into the catalogue with the added touches of gingerbread man decorating in the kitchen and the festive scent of The White Company stores. In the typical White Company handwriting there were some classically timeless pieces alongside some modern touches, instantly appealing to everyone that walked through the front door. 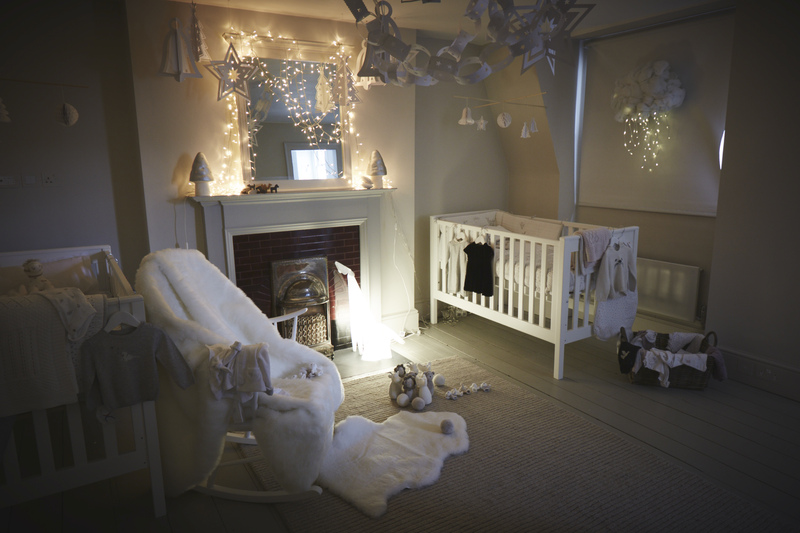 Baby A stayed at home but other children at the event were easily attracted to the childrens bedroom, with the perfect mix of play dens decorated with fairy lights, bunting tents, soft throws and the jellycat soft toys. 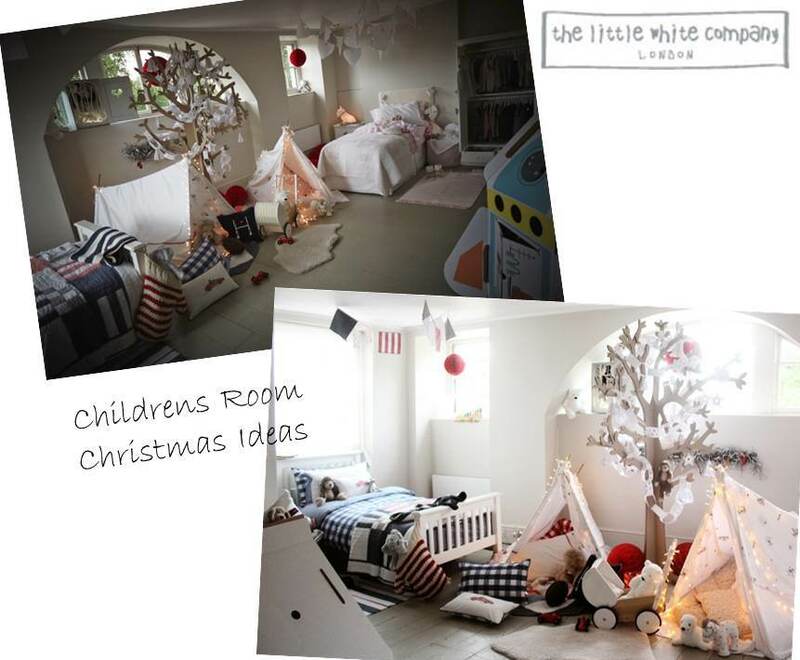 It felt so homely and cosy with cardboard christmas trees and the perfect bed linen. .